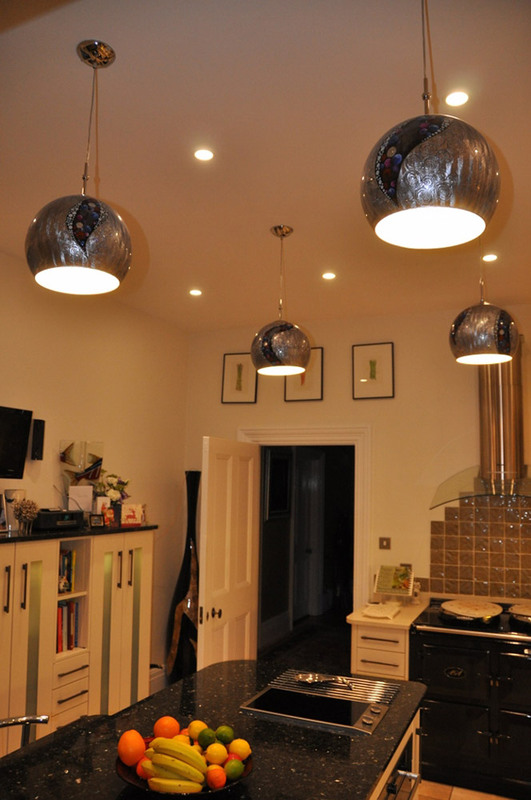 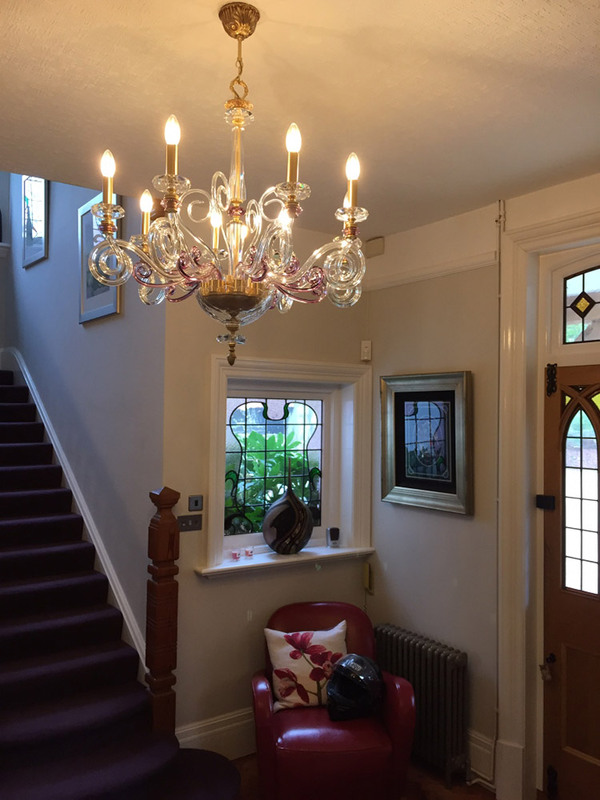 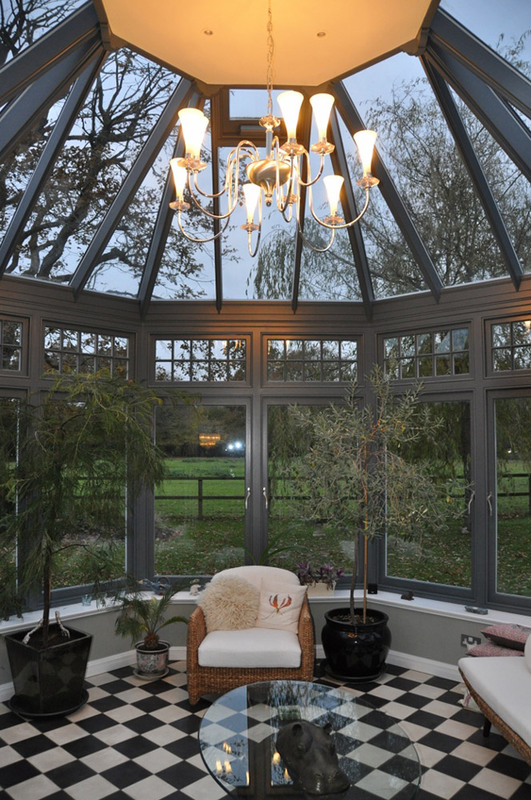 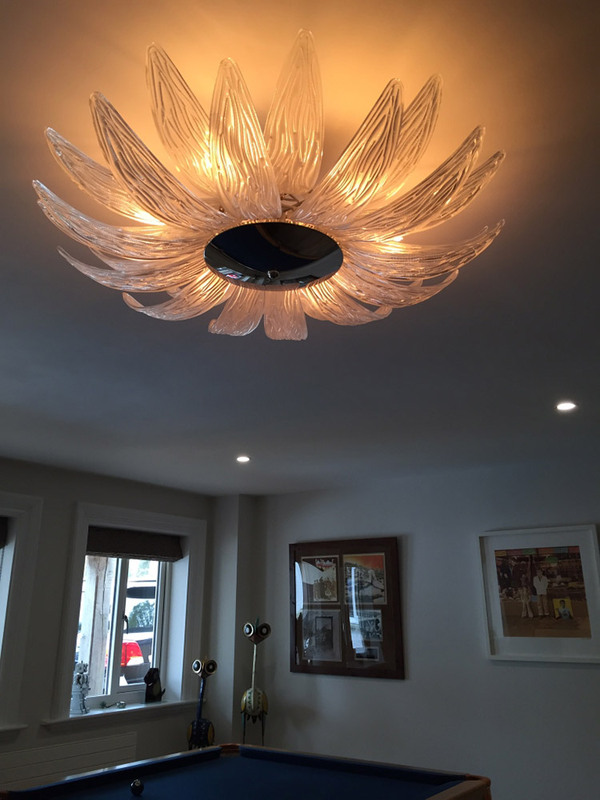 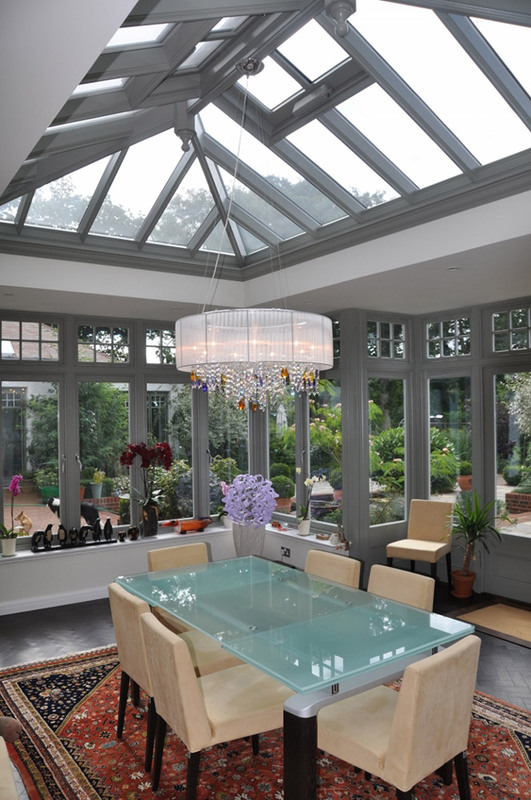 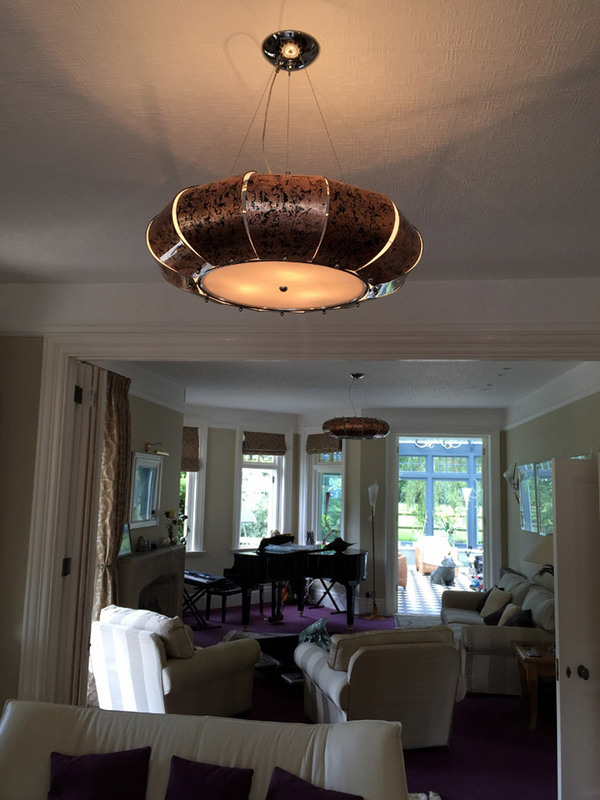 This client was a delight to work with and had as much passion for lighting as we do. 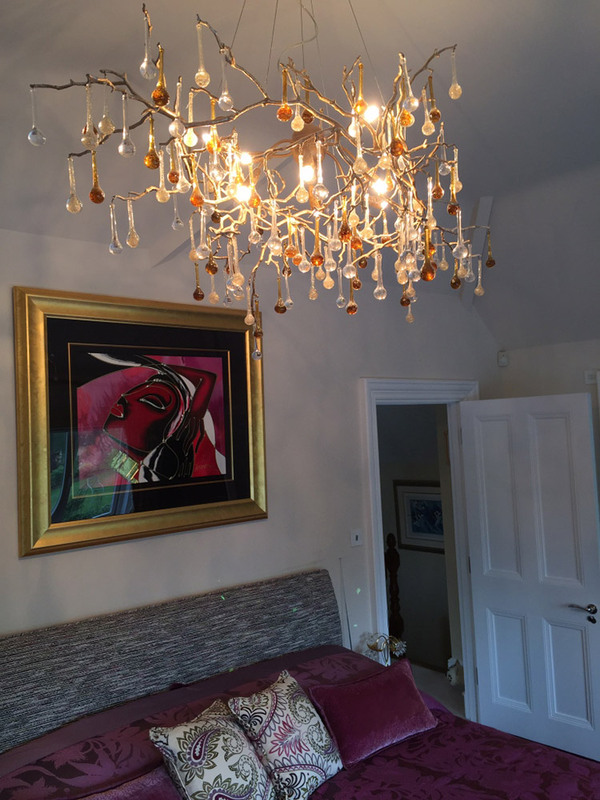 We assisted in choosing their lights as well as furnishings, we helped with chairs as well as bespoke mirrors for their bedroom. 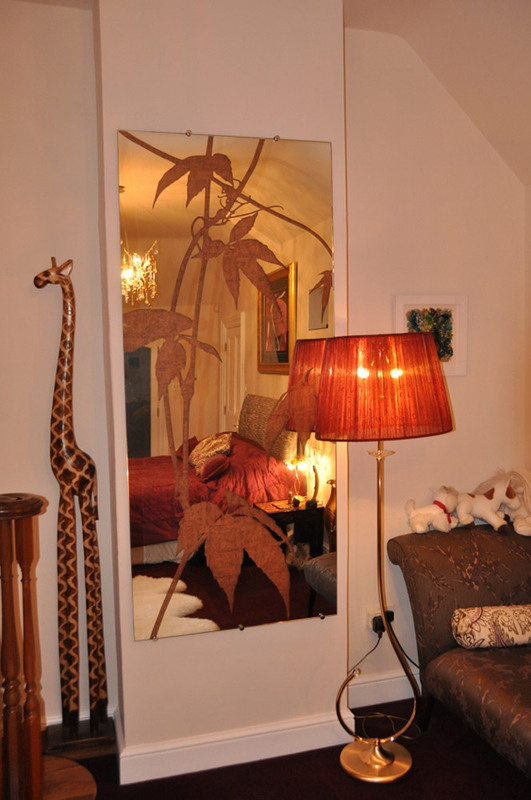 The bedroom mirror design was by Ben Dray and shows a Virginia Creeper. 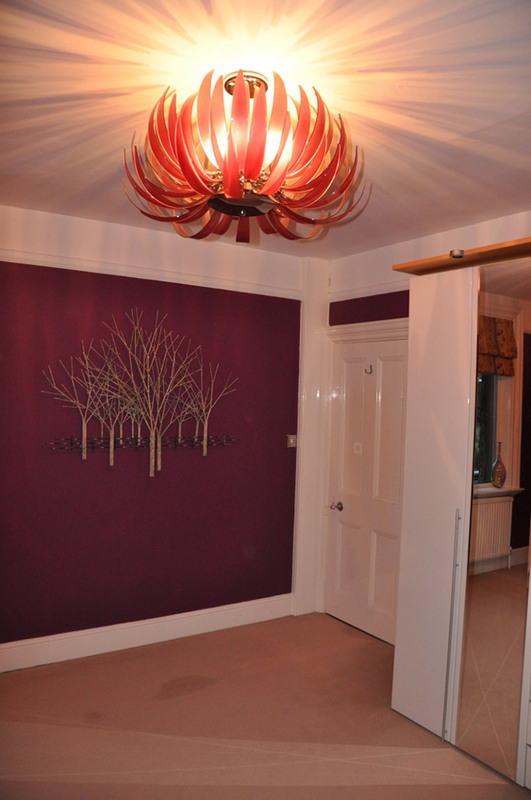 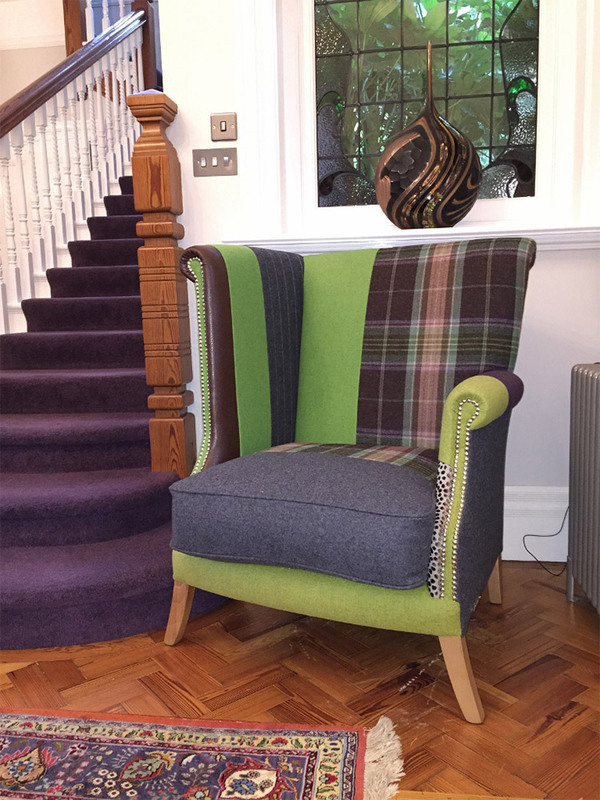 The hallway sofa was from Glimpze. 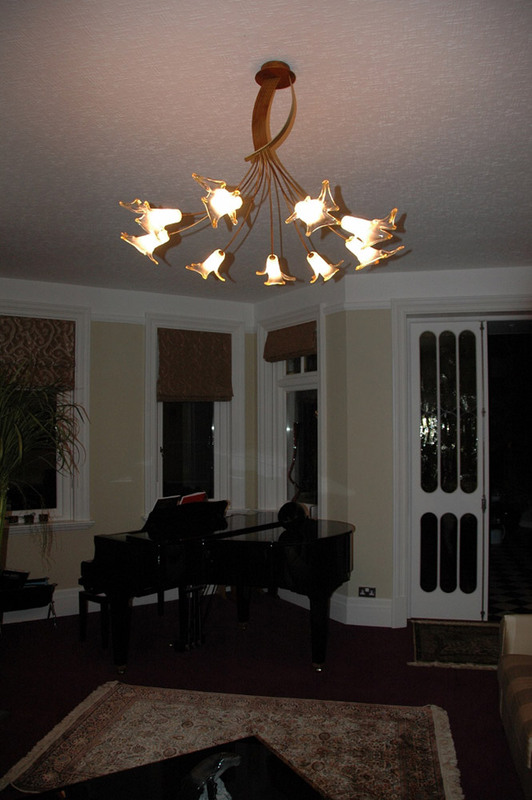 Many of the lighting solutions came from Kolarz and we also had some custom pieces from Serip lighting. 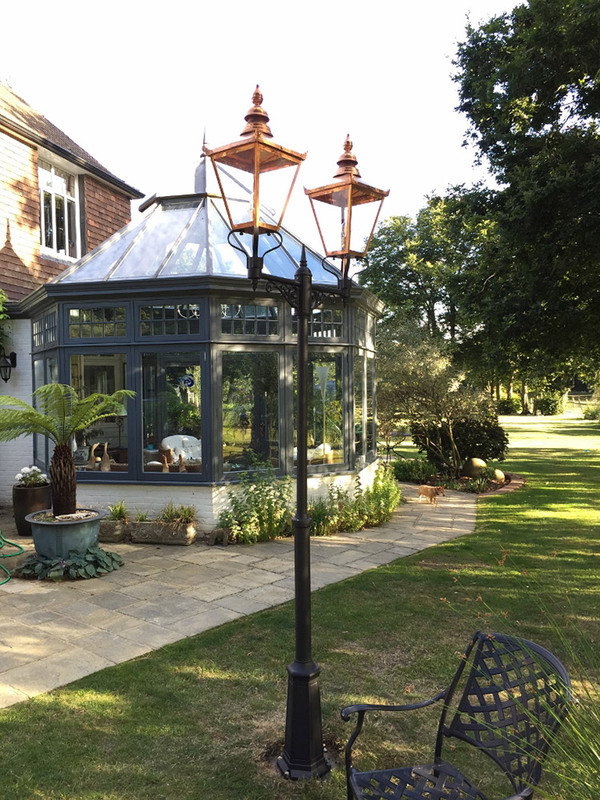 Their outdoor double lamppost was from Elstead Lighting.